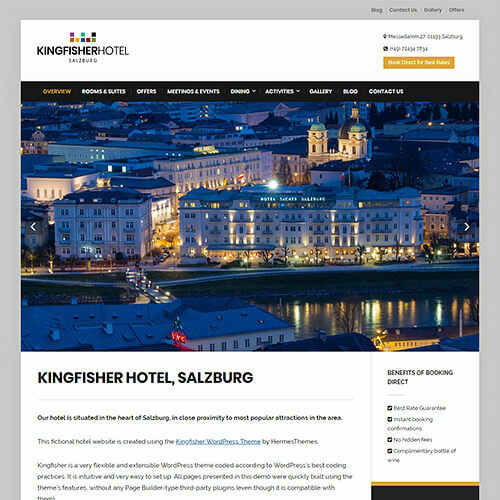 We create affordable, easy to use WordPress themes for independent hotels, B&Bs and inns. 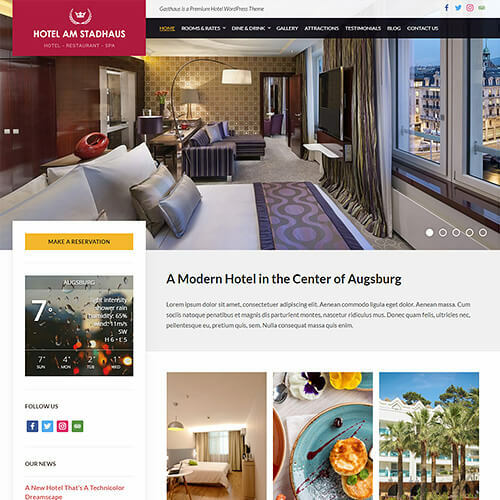 Fast and friendly support for all types of users, from rookies to professionals. 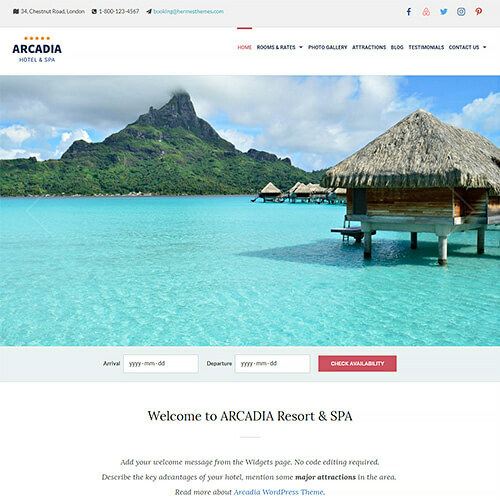 Clients choose Aurora Theme when they need a professional and unique website design. 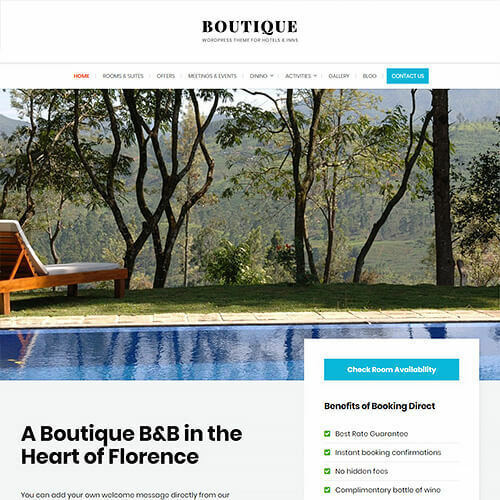 A popular pick among boutique hotels and upscale B&Bs. 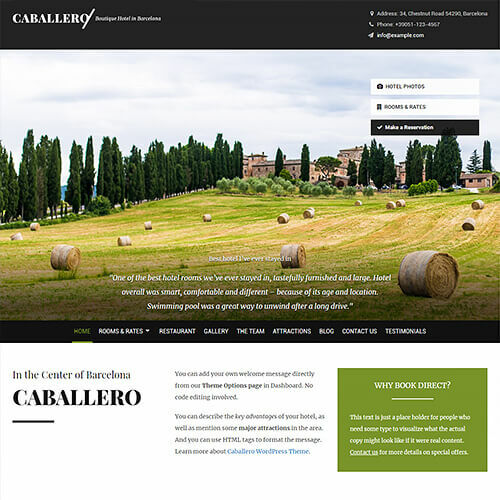 Caballero is a great fit for leisure hotels and B&Bs. 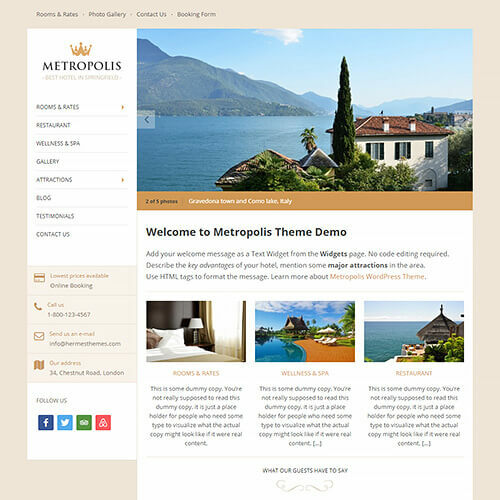 It is bold, modern and easy to customize. 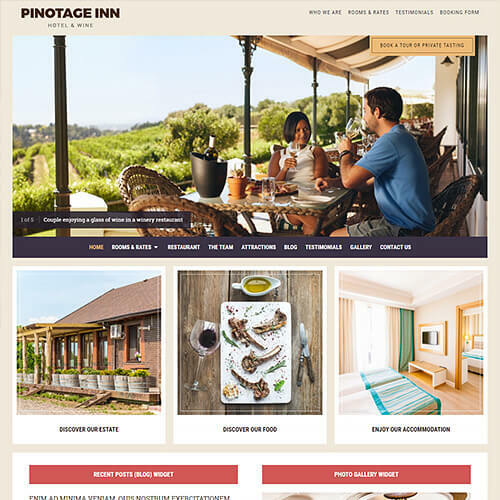 Pinotage is a unique WordPress theme developed for wineries with lodging/accommodation facilities. 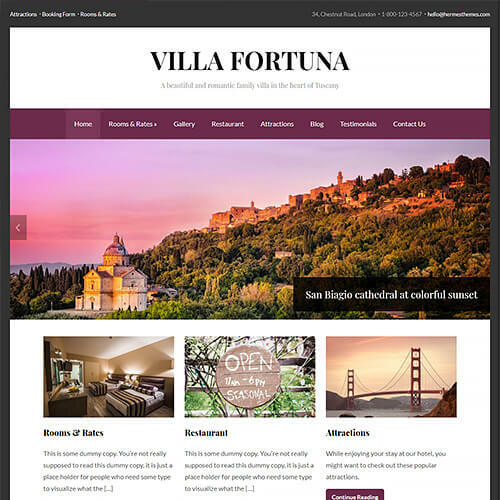 Fortuna is a great choice for hotels, villas, B&Bs, etc. 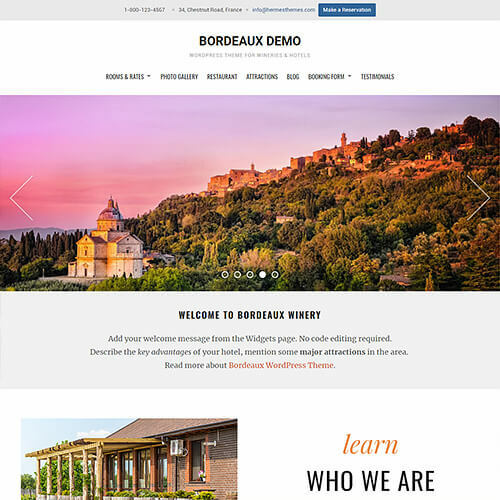 It is easy to set up and make it fit your own brand. 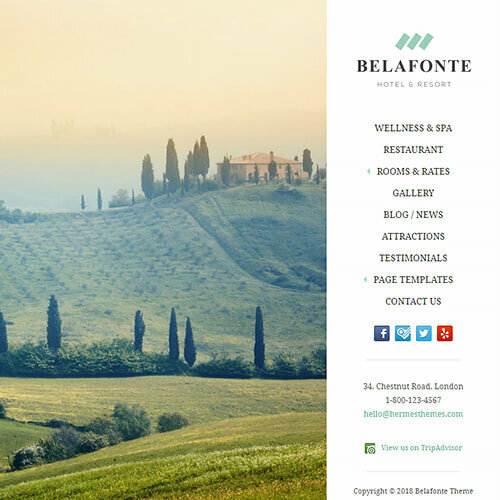 You choose Belafonte when you want your property's high-quality photos to do all the talking for you. Belafonte has an unique design for fans of minimalism. 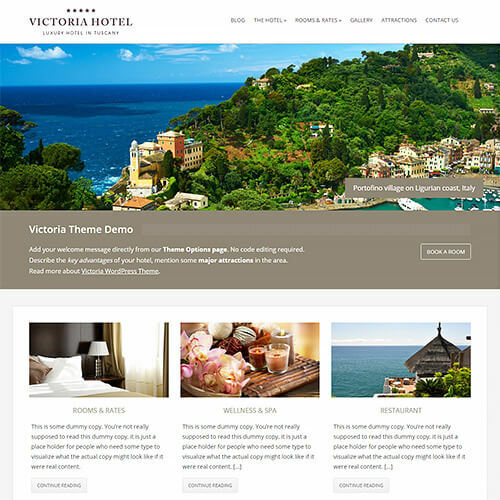 Victoria is a modern theme with a classic two-columns, responsive layout. 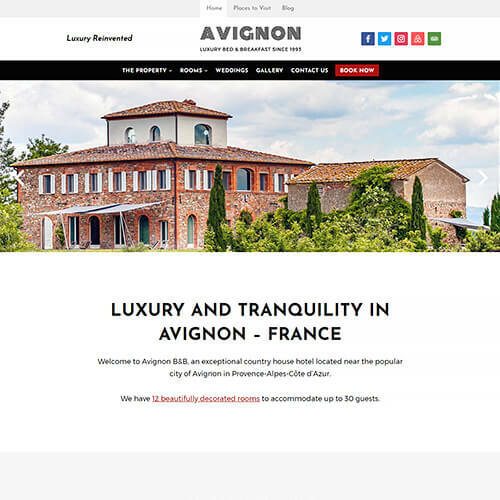 A great choice for inns, B&Bs, holiday rentals, hotels. 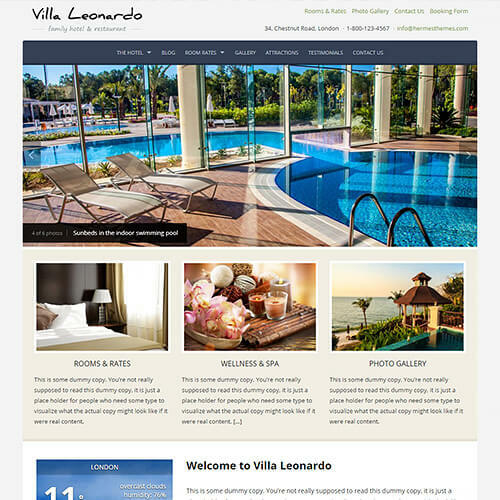 Leonardo has a classic, two-columns, responsive layout. It is easy to set up and use. 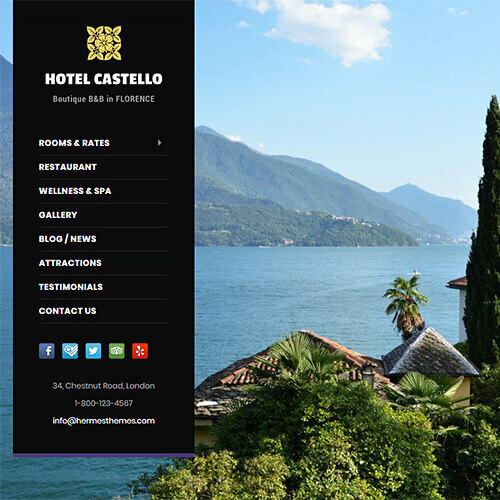 Castello is one of our most popular WordPress themes. 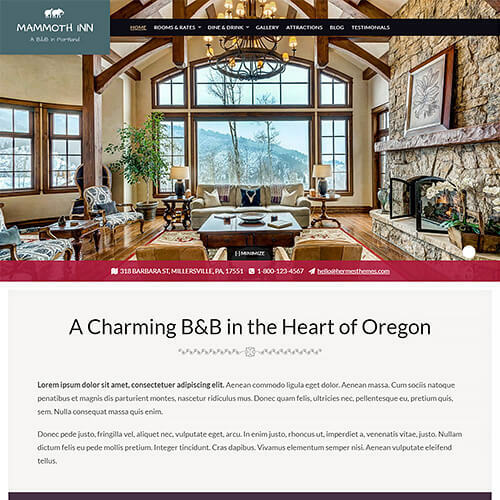 The full-screen slideshow makes it a perfect theme for properties with beautiful photography. 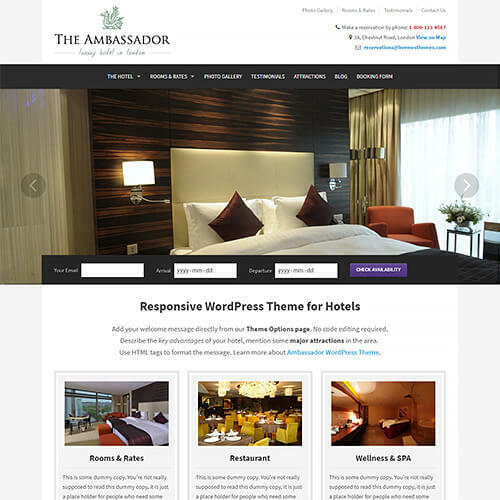 Ambassador comes with a full width slideshow and a classic two-columns content layout. 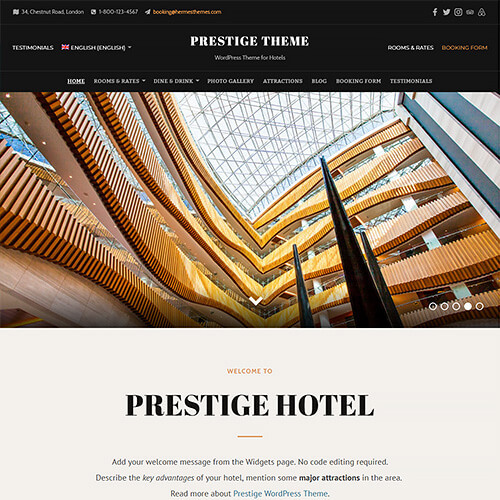 As our oldest theme, it is mostly popular with chain and upscale hotels.